The Cass MBA London Symposium welcomes three special guests in celebration of its fifth successful year. Cass is delighted to announce that Rajesh Agrawal, Deputy Mayor of London for Business, Mike Brown MVO, Commissioner for Transport for London and Levison Wood, British explorer, will be our special guests at the fifth annual London MBA Symposium. Our London Symposium explores the integral connections and relationships of Cass with London’s thriving economy and community. We’re thrilled to welcome many speakers, MBAs from all Cass Programmes, alumni and MBA guests from partner schools to discuss 'Network Effects' across many contexts and sectors and looking forward to a very special Symposium. Mike Brown was appointed as Commissioner in 2015. He is responsible for making sure Transport for London (TfL) provides world-class transport services that keep London working, growing and make life in the Capital better. He oversees TfL’s investment programme, which includes some of the largest and most complex engineering projects in Europe. 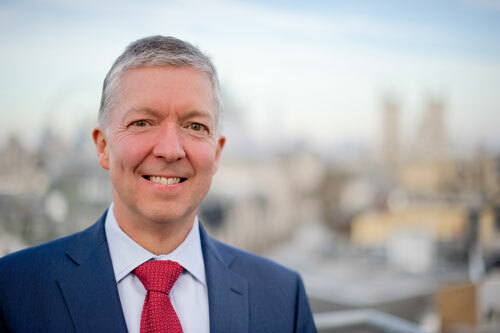 Mike joined London Underground in 1989 and worked in various operational manager roles before becoming the company's Chief Operating Officer in 2003. In 2008, he left to head up Heathrow, then the world's busiest international airport. He rejoined London Underground in 2010 as Managing Director leading works which have resulted in huge improvements to the Tube, making services more frequent and reliable than ever before. He also took the lead role in the successful delivery of transport for the London 2012 Olympic and Paralympic Games. He is a Fellow of the Royal Society of Arts and was appointed to the Royal Victorian Order by HM The Queen in 2002. 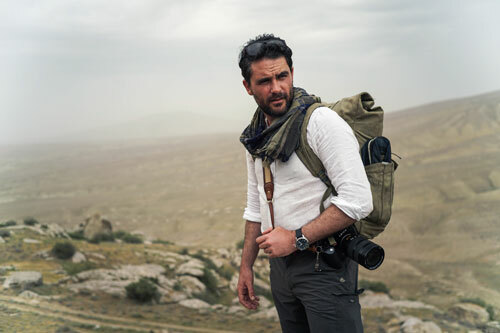 Levison Wood is a British explorer, best-selling author and photographer whose work has featured around the world. He has led expeditions across five continents and recently returned from his most ambitious expedition to date - a 5,000 mile circumnavigation of the Arabian Peninsula from Iraq to Lebanon. Most recently, he appeared on the Channel 4 series 'From Russia to Iran: Crossing The Wild Frontier'. At the end of 2017, he published his latest book Eastern Horizons, about his travels as a 22 year-old-man hitchhiking the Silk Road, which was shortlisted for the Adventure Travel Book of the Year at the Edward Stanford Travel Writing Awards. ‘Walking The America’s’ documented Levison’s expedition walking 1,800 miles along the length of Central America from Mexico to Colombia, including the notorious Darien Gap. He is an elected Fellow of both the Royal Geographical Society and The Explorers Club. Each year the Symposium follows a theme and for this year's theme is 'Network Effects'. 'Network Effects' represents London as a global hub, the unexpected benefits or consequences of connectedness and connectivity and the emergent properties that come from networks of relationships. A network effect is the positive effect described in economics and business that an additional user of a good or service has on the value of that product to others. When a network effect is present, the value of a product, service or experience increases. The Symposium is the flagship MBA elective, bringing together more than 150 students from all Cass MBA cohorts, as well as MBA teams from partner schools in Europe and South Africa. It provides students with excellent networking opportunities and access to some of London’s most prominent and respected business figures.